Achieve visibly thicker hair with the supersize version of the Hair Density Serum Intense from Grow Gorgeous, developed with a complex blend of seven technologies. 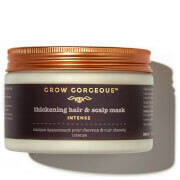 Grow Gorgeous aims to stimulate the hair and scalp for healthy-looking hair that is protected from external damage, without causing harm to you. 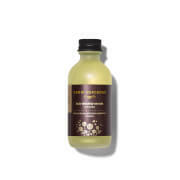 With its Stabilized Dihydroquercetin-Glucoside Complex, the serum contains Glycine and zinc to improve hair length for a fuller appearance, whilst a unique form of water-compatible caffeine absorbs into the scalp to promote healthy hair growth by stimulating the hair follicles. Its Acetyl Tetrapeptide-3 and Clover Flower Extract Active Complex has been proven to visibly increase hair density by 13% within four months. Bio-Active Pea Sprout starts to work within two weeks to improve hair growth by 78%. Enriched with hyaluronic acid to penetrate the scalp and boost hydration so you can experience luscious, voluminous locks. On towel-dried or dry hair, apply 20 drops once daily to the scalp either in the morning or in the evening. 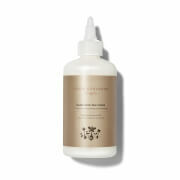 Massage evenly and thoroughly into the scalp until you feel the serum has been absorbed. Do not rinse. Each bottle should last approximately 3 months with proper application. Please Note: Do not apply to eyelashes or eyebrows. Do not exceed recommended dosage.